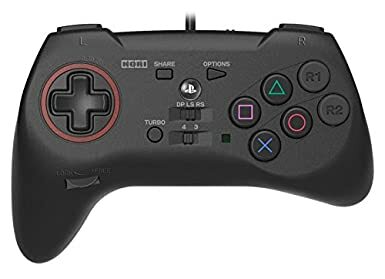 Amazon has updated their listing regarding the Hori Fighting Commander 4 Controller for PlayStation 4 and PlayStation 3, revealing the first photos along with additional details. You can preorder the gamepad with this link from the retailer. Find the first images of the officially licensed PS4 and PS3 controller below this paragraph. The new details talk about the asymmetrical form-factor, which is being used to provide the “best possible grip” when it comes to pulling off combos and special moves in fighting games. 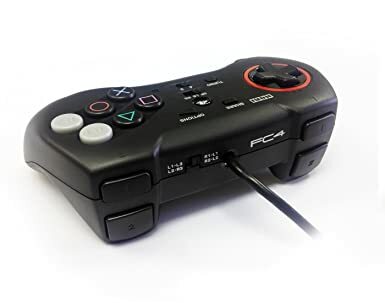 The gamepad is also wired to be tournament legal and, along with the improved internal rubber membrane, to prevent input lag while increasing accuracy and durability. 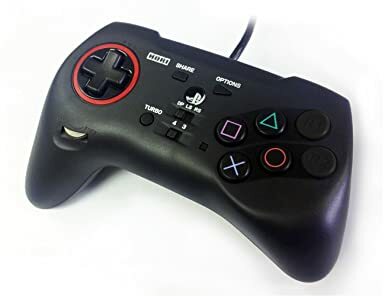 Last but not least, the pad does not any analog sticks, meaning that it won’t be compatible with games that requires analog input. If you haven’t read our previous piece, the Hori Fighting Commander 4 has a rotatable directional grip in addition to a six button layout. With the toggle switch, you will have access with up to eight buttons on just one hand. The other features include turbo functions in addition to adjustable sensitivity to the directional pad. Amazon currently lists the Hori Fighting Commander 4 with a release date of April 30, which is most likely a placeholder until an official one is announced.